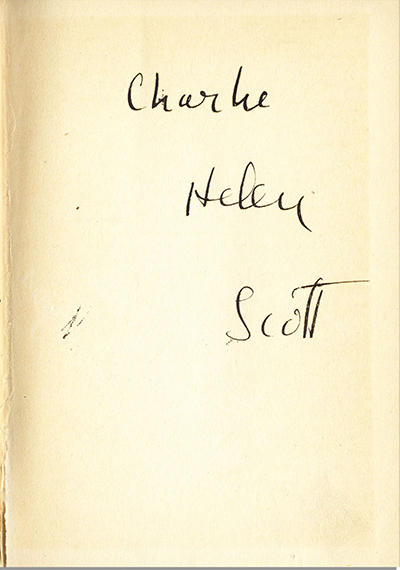 A cache of never before seen original and revealing F. Scott Fitzgerald autograph material has surfaced and is being introduced into the marketplace by Nate D. Sanders Auctions today, March 26, 2013 through Tuesday, April 2, 2013 via online auction. It is estimated to sell for $75,000-$100,000. How in the hell shall we guide her to this..."
It is signed by Fitzgerald and located "Nyack," the upstate New York town on the Hudson River where Hayes and family resided after buying "Pretty Penny," the "finest Italianate Victorian Estate in America" in the 1930s and turning it into an artistic salon with steady friends, like Fitzgerald, visiting for weekends. This poem was published thirty-seven years later in Hayes' memoir, A Gift of Joy (1965). But she left out a stanza, poignant and significant, and, until now in this manuscript, unknown. Or give me the nursery - let her have the study"
The reference to Zelda's mental illness would not be understood by her daughter but Helen Hayes knew exactly what Fitzgerald was referring to and, perhaps because she felt it too personal a matter for the public, left it out of her book. 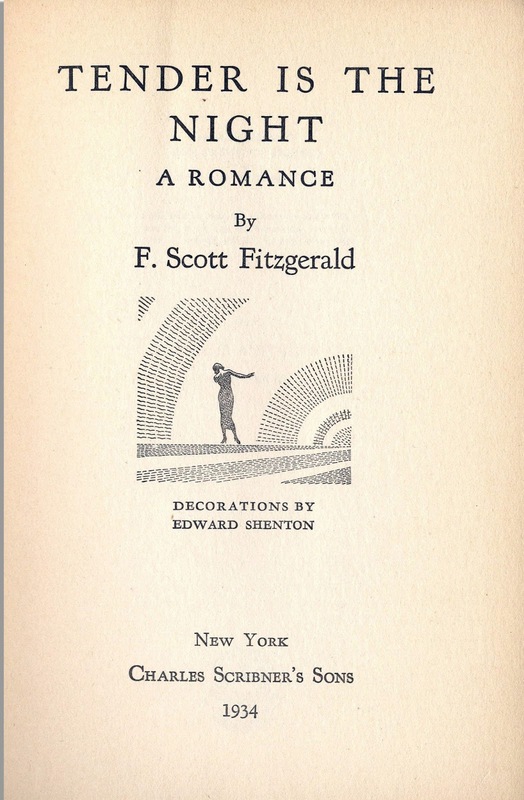 At the time of the poem's writing, Zelda was institutionalized, Fitzgerald had moved to Hollywood, and begun his affair with gossip columnist, Sheila Graham. 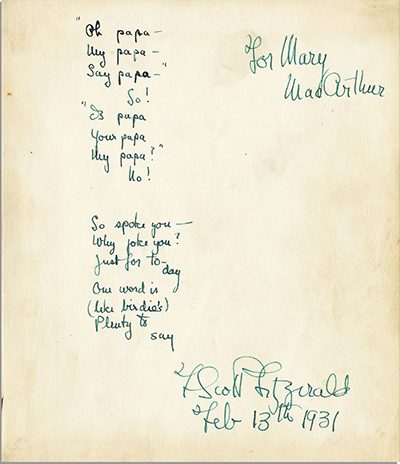 Another poem, dated February 13, 1931, is written for and dedicated to Mary MacArthur on the occasion of her first birthday. Sadly, Mary MacArthur died at age nineteen of polio. 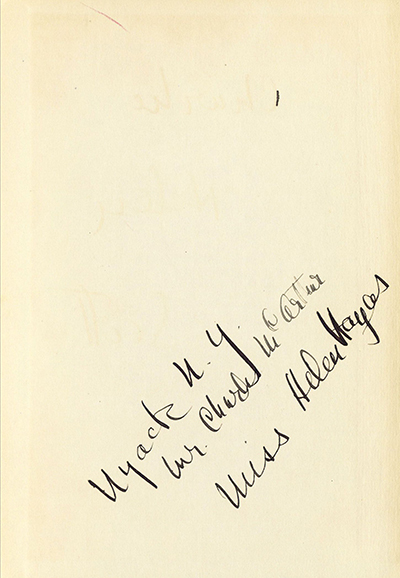 Included is an inscribed first edition presentation copy of the novelist's Tender Is The Night (1934) given to Miss Hayes and Charles MacArthur at the time of the book's publication. 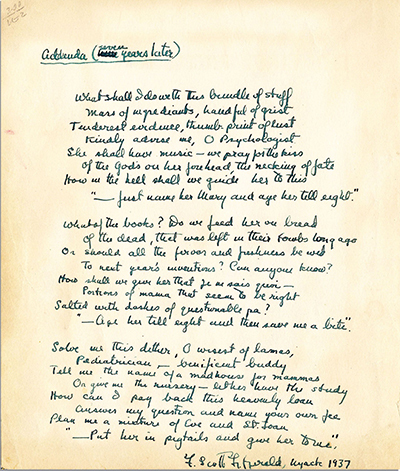 On June 15, 2012, Sotheby's-NY auctioned an autograph unpublished Fitzgerald short story written c. 1920 titled The I.O.U., in both autograph manuscript in pencil with revisions and typescript, with a note from Fitzgerald's agent, Harold Ober, giving a brief synopsis of the story. It sold for $160,000. Unknown Fitzgerald autograph material fresh to the marketplace and insightful does not turn up often. $75,000 - $100,000 for this lot seems a very reasonable estimate. All images courtesy of Nate D. Sanders Auctions, with our thanks. I wouldn't bet against the $100,000 top bid. 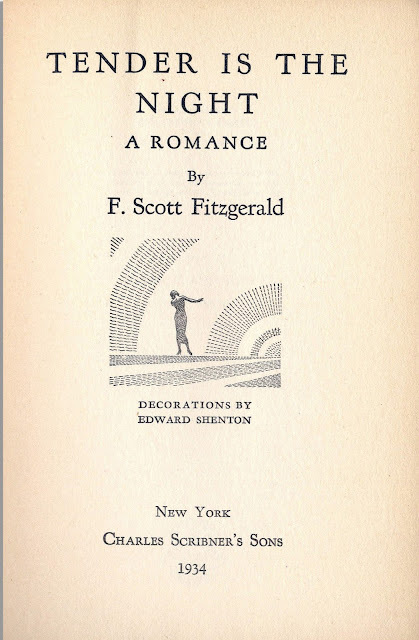 In fact, given the scarcity of Fitzgerald material out there, I wouldn't be surprised if this went for much more. His works seem to be standing the test of time.